“What a place! I took 21 guys down for a stag celebration and the house had everything we needed. The beds were really comfortable and set up perfectly for our number, the kitchen had all the utensils and equipment needed and there was loads of indoor living space. Bookings are coming in fast for 2019 but there are some dates available particularly during the first three months of the year. 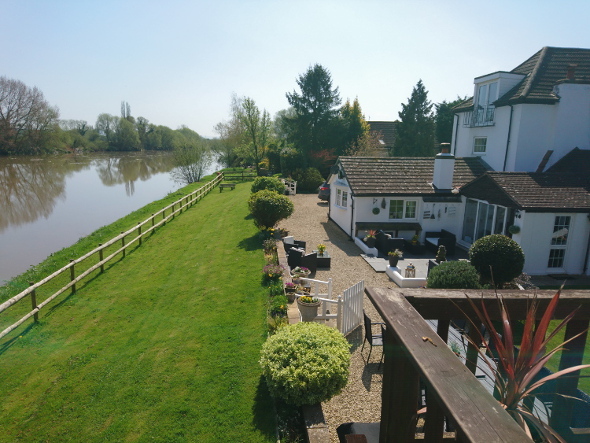 The house, which sits on the banks of the River Severn, has an indoor swimming pool plus games and cinema room. There is a “Big Brother” Dorm room which can sleep 10 guests. In-house catering and spa treatments can be booked for your stay. If you are planning any kind of group celebration such as a hen party or a stag party or a landmark birthday party call Cazz on 07966 443536 to enquire about offers.